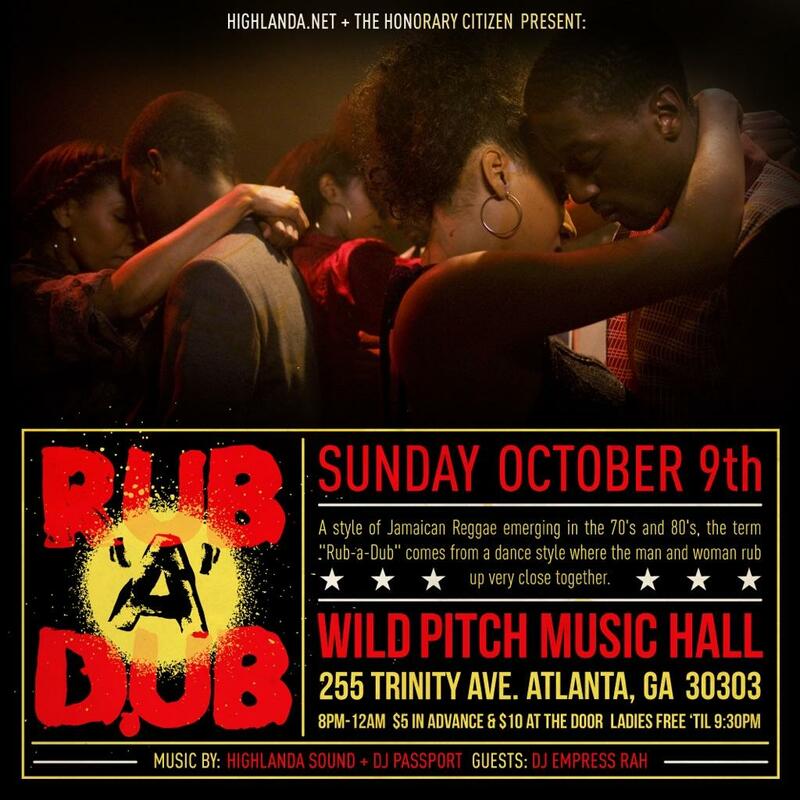 The #RubADubATL, the monthly event celebrating reggae music and its sub-genres of roots, lovers rock, classic dancehall, rocksteady, dub, and ska will take place at WildPitch in downtown Atlanta on October 9, 2016, between the hours of 8 pm and 12 am. Tickets for the event can be purchased online in advance or the night of the event at the venue. The event always promises to showcase the best in music from Bob Marley and other great artists. Enjoy selections by top-rated music curators, DJ Passport, Highlanda Sound, as well as special guest DJ Empress Rah.